The Project/Program Managers usually evaluate the triple constraints i.e. Time, Scope and Cost. While evaluating this IRON TRIANGLE, they are trying to judge if the ongoing project is following the approved budget. Additionally, they want to understand if the project is on schedule - are our deliverables meeting the expected scope? It’s been a convention that these managers mostly select to use GREEN, YELLOW and RED status to symbolically summarise the project health to their superiors. Now that sources a list of questions as to whether this has any guidance based on an objective measurement that reflects real health of the project? How come a project gets on the RED status from GREEN exactly at the time the production release is about to occur? Does such report indicate the problems on the projects with an objective data well ahead of the time as an alarm to stakeholders? EARNED VALUE ANALYSIS helps you make your reports that are worthy sharing the runtime facts about your PROJECT HEALTH. That, in turn, guides the stakeholders to take appropriate decisions and actions well in advance. 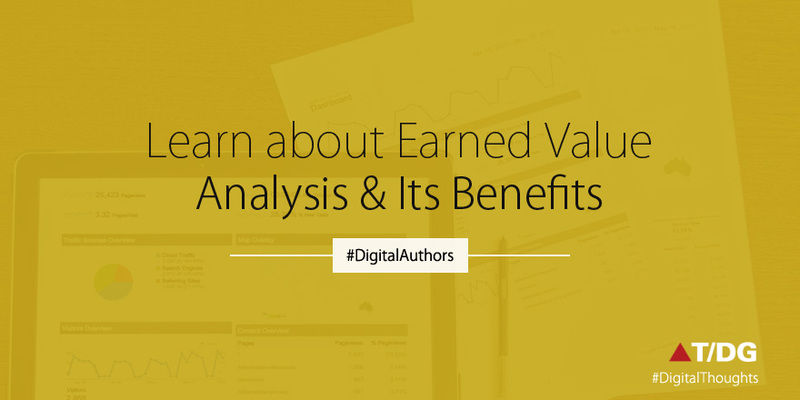 What should you mean by EARNED VALUE ANALYSIS? - It is an objective method to measure project performance in terms of scope, time and cost. It helps the relevant stakeholders to measure the project health and project performance at any given moment of its execution. It indicates Planned Value for the project - How much work did you PLAN to complete? It indicates Earned Value for the project - How much work did you ACTUALLY Complete? It indicates Actual Cost for the project - How much did you spend to complete the work? Imagine that the project continues at the current performance and you should be able to determine True Cost of the project at its completion. Responsible managers should establish the SPI and CPI Range that determines true colour for the project health and performance at any given point in time. Thus, EVA stands out to be an objective method to determine runtime project performance and health over the subjective methods. The relevant stakeholders can be updated with meticulous project health which enables them to take appropriate decisions concerning the project execution further.